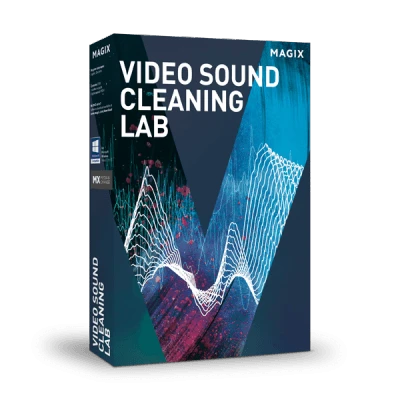 Unwanted audio sections can be easily isolated or removed completely in Video Sound Cleaning Lab. Additional sound effects and audio commentary will make your favorite videos stand out from the crowd. The program supports all standard audio formats from camcorders, cameras, smartphones and action cams. Includes precision tools, powerful presets and a wide range of effects for enhancing the audio tracks in your videos. Export the finished video or just the audio track in any format. You can transfer directly to your video editing software. Experience a faster import process. You can import video sound up to ten times faster to Video Sound Cleaning Lab than the previous version. Developed to ensure the highest quality on both acoustic and visual levels. The design includes display support for even high-resolution 4K & HD monitors. Use the search feature to help you find the exact template, help text or effect you need. The preview monitor is the ideal tool for checking and perfecting sound and image synchronization. Make individual sections for either tracks, effects or visual analysis more prominent using shortcuts. This lets you focus on a specific section even when working with smaller monitors. Maximum sound quality with minimum effort. The Video Sound Optimizer helps you find the perfect sound for music or speech in your footage in no time. With the help of presets, removing wind noise from recordings and adjusting intensity is easy. The DeEsser feature gives human speech a pleasant presence and warm sound by removing sharp hissing and sibilants. Start the Auto Cleaning feature for an automatic analysis of your audio material and then adjust effect settings manually. Visualization of the audio signal lets you easily identity problems with the frequencies or volume. The new user interface includes numerous touch elements that make editing more simplified than ever before. Thanks to the handy preview feature you can check which effects are best for dealing with sound issues. Internet connection: Required for registering and validating the program, as well as for some program features. Software can also be used offline. MX stands for Media-X-change – the fast exchange of media with other MAGIX programs, online services and mobile devices. Add your enhanced audio files to your digital music collection in MAGIX MP3 deluxe with a single click. With a single click, you can use your optimized music tracks as background music for your videos in MAGIX Movie Edit Pro, Video Pro X, Photostory or Fastcut. Share your audio files and other projects online with just a few clicks.